In the unprecedented and intersecting environmental crises that humanity is facing, we often overlook how soil fertility is vital to global food security, carbon storage, biodiversity and the health of our environments. Estimates that we perhaps have only 50 harvests left due to the catastrophic decline of the Earth’s topsoils should be discussed in news headlines, as much as climate breakdown, mass species extinction and the increasing social injustice that is already causing hardship to peoples in other countries. Our governments must urgently adopt new land policies that focus on regenerating soil fertility in every sphere, as a matter of urgency. We must act now as soil fertility is fundamental to all species’ wellbeing. Ground moisture, temperature and light data collected in Hollywood over a 1 day period – isn’t this so cool? farming and artificial fertilizers have resulted in dying soils across the world. In reading a recent paper of his, I was encouraged that his comments give further reasons about why we need to move toward permanent forests that improve soil fertility: “We could and should be looking to recreate new, ‘ancient’ forests, to sequester and store carbon, to create forest grown timber resources and to regenerate soils.’ (Miekle, ‘Soil, Farming and Society’ in #SoilMatters – So how do we treat it? (2018). So the Grow Observatory is a creative application of big data being used to collect, but also to share back to growers, valuable climate data. Also, a fascinating talk by Eoin McCuirc from the Central Statistics Office (CSO) and Cork Food Policy Council, introduced how citizen science and open data could be used to empower citizens to play an active role in climate action and the transition to sustainable land use practices (look out for a new app from CSO next April that will collate all of Ireland’s land data for us all to use in our regions – this data will be so useful locally but it will also have a critical role for new policies for sustainable landuse). In Ireland, across two areas, the South East (Carlow, kilkenny, South Kildare, north Waterford and Wexford) and DONEGAL have been selected to take part of GROW Observatory and so Hollywood is thrilled to be contributing (see other countries taking part below). 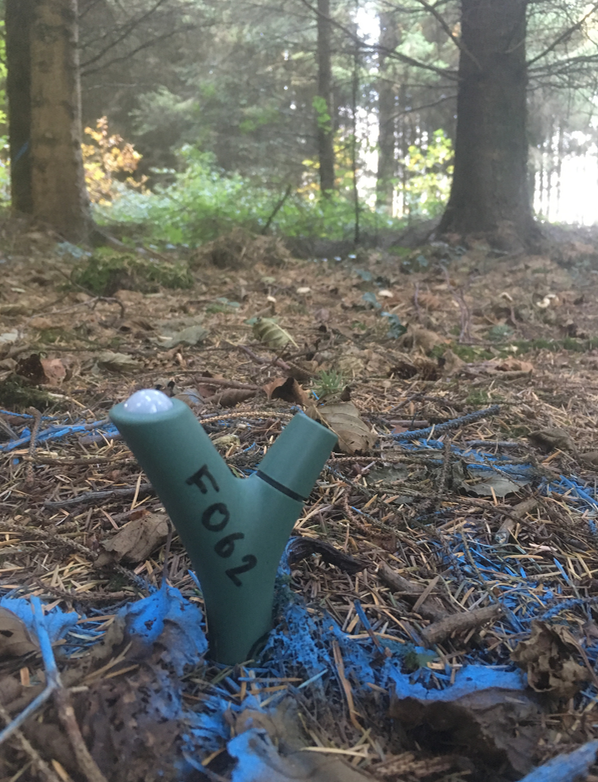 With Hollywood’s Grow Observatory sensors we are already fascinated to see the dramatic increase in soil moisture inside the forest after Ireland’s recent very dry summer, and also to see how little sunlight reaches the interior of the forest during winter months. We have another 5 sensors that will be placed on Drummin Bog, in South Carlow too. IF YOU HAVE LAND in the South East or DONEGAL, Grow Observatory is looking to place 100s of sensors in the ground, preferably before the end of the year. As the project finishes next July, do get involved soon and you are able to keep the sensors afterwards. Please contact Dee Sewell, in County Carlow at dee@greensideup.ie to learn more and get your sensors. She will also advise those of you interested and who are living in Co. Donegal.